What would happen to your blog if social media platforms shut down with no way to access your followers? It can if you start working on building an engaged email list and mastering SEO. 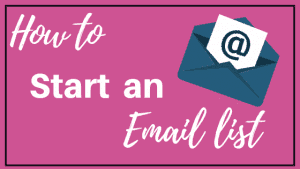 But for the sake of time, this post will focus on how to start an email list. Did you know that your email list will become the biggest asset of your business? Yep. 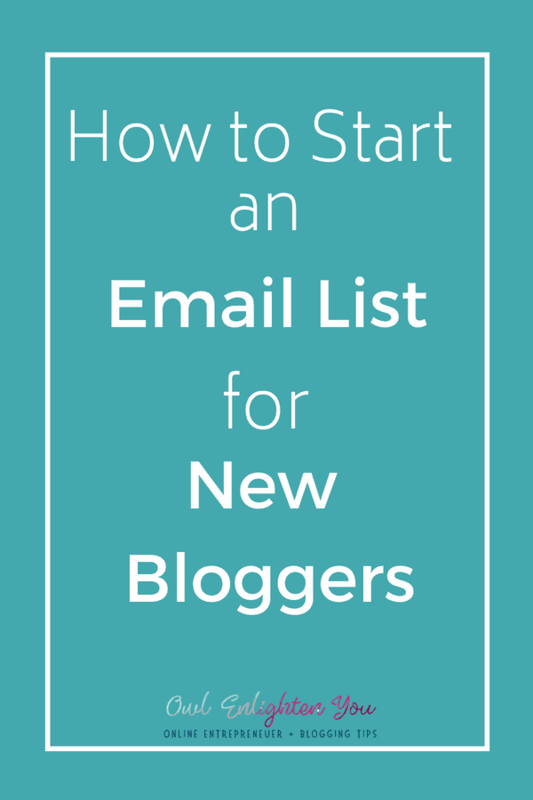 Most big bloggers will tell you that their biggest regret was not starting an email list right away. Mostly, because with social media your followers won’t see your posts all of the time. But with an email, everything you say or post about gets dropped into their inbox. Yes, having social media followers is GREAT, I love mine, but it shouldn’t be the goal if you’re trying to turn your blog into a biz. Don’t get me wrong; you should still use social media platforms to grow your brand and as a way to drive traffic to your site. 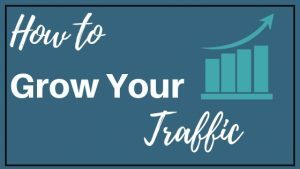 But the main goal is to have lead magnets you promote on your site where you offer something of value in exchange for their email address to steadily grow your tribe. Then engage with that email list regularly, connecting on a more personal level. Mention what’s going on in your life, drop some pictures but mostly it’s the stuff you wouldn’t be putting out there in a post. This is how you develop a relationship with your readers, and then they are more likely to respond to you with their struggles and their successes through email. But the best part about building your tribe through email is that you’ll never have to worry about losing access to your followers because you own them and not a social media platform. In case one shuts down, like Google+. There are many email service providers out there, some are free or have free trials. I’ve tried several and will tell you which one is the best and why. MailChimp has free and paid plans but setting it up is confusing for a new blogger. Luckily there are Youtube videos out there to help because there is no customer support on their free plan. Ultimately I left because my emails were getting buried in the Promotions section, so no one was seeing them — apparently a very common complaint about MailChimp. Mailerlite is free up to 1000 subscribers, but I have not tried them. Drip is free up to 100 subscribers. It has automation, tagging, and sequencing, everything I love. They had pages to guide me along with setup, but I had to dig for them, but their customer service was awful. Convertkit is $29 a month up to a 1000 subscribers and who I am currently with because once you surpass Drips free 100 subscribers, their prices soar. So I took the leap and switched to Convertkit, and I love it. They have a checklist to guide you with set up, video tutorials showing how to set things up and excellent customer support. Convertkit also has automation, tagging, segmenting (handy when you have multiple opt-ins) and landing pages. My recommendation after all of this would be to start with Convertkit. 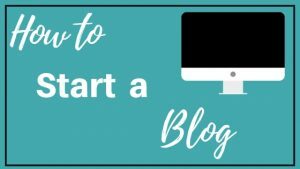 Once you start spending money out every month on your blog, it helps motivate you to be productive and puts you on the fast track to having a profitable blogging business. Get a 14 day free trial with Convertkit <– here. After signing up, use this video tutorial to learn your way around. Once you have set up your email service, then it’s time to create opt-in. You might get a few subscribers from throwing up a box and saying “Subscribe to my newsletter!” but nothing grows an email list faster than offering content upgrades with an opt-in. Offering things of value also builds followers that look forward to your emails and is more likely to open them. Your lead magnet should be something digital that you can create in a weekend or less but something that your audience would want. 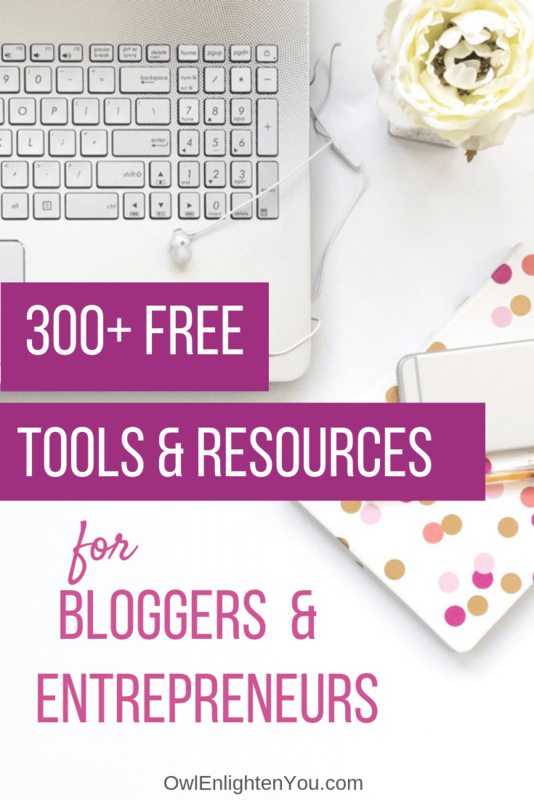 I like to use Canva to create my freebies and save them as a pdf. Canva has a free and paid version. Now that you have your email provider set up and your lead magnet created, it’s time to add the opt-in forms to your blog so people can subscribe. *Tip* It’s a good idea to have several different opt-ins in places like the sidebar, below every post, or even a hello bar. Last but not least, you want to nurture your email list every week and keep them engaged. I’ll admit I struggled with this one. But if you let your list go cold, and I can vouch for this, when you finally do have something to say, you will no doubt have some unsubscribers. I know finding time to send emails is hard, especially as a new blogger when your busy creating content or learning new things but don’t forget to send something to your readers even if your just catching them up on what’s been going on in your life or what is coming up. 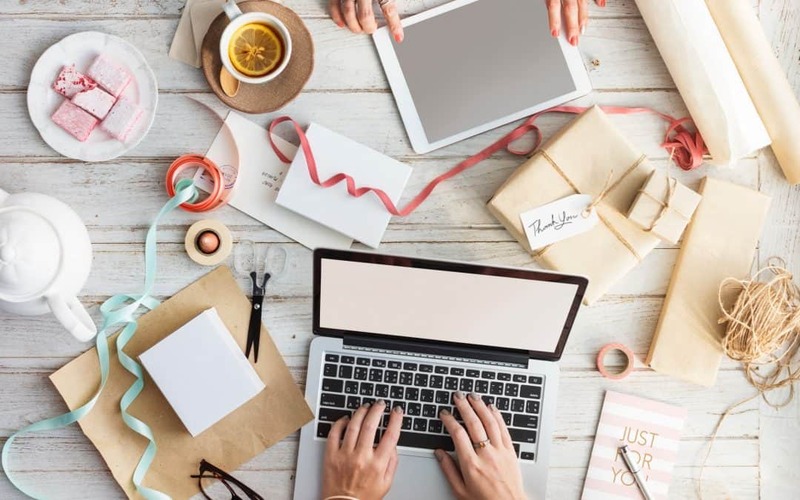 Now that you know how to set up your email, scroll down and sign up below to get access to over 300+ free resources to help you start, grow or monetize your biz. Thank you SO MUCH for this! I had started out an email list and started doing printable, but I never thought of doing 5 Day Challenges or scheduling posts! Such great ideas and so helpful, I’m hoping I see some growth! Thank you so much for your comment Zalyssa. 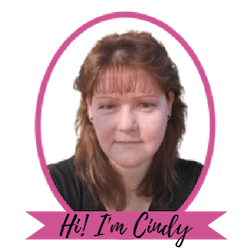 Keep checking back in with my blog because I will continue posting more ways to grow your audience. Growing your audience takes time and consistency so don’t get discouraged. I’m sure you will do great.